Mountaineer and inspirational keynote speaker Michael Groom joins the prestigious lineup at ifa Business Strategy Day to enlighten advisers about navigating responsible leadership through turbulent times. In light of the FASEA reforms and the royal commission, financial advisers are offered a unique opportunity to develop solid leadership to demonstrate expertise and professionalism to positively influence company culture and reinforce consumer trust. The ifa Business Strategy Day will take place in Brisbane, Melbourne, Sydney and Perth in March. Delegates will hear Mr Groom share his insights on leading teams built on a foundation of trust and demonstrable expertise, earning their confidence and loyalty in the process, as well as giving them the ability to recognise opportunities and embrace challenges as they come. The Brisbane-based mountaineer is one of the first to climb the five highest mountains in the world, all without the support of supplemental oxygen or Sherpas and even despite losing a third of his feet due to frostbite. “There is fear, but I would say that I’m glad I’ve got it because the day I don’t have that anymore is the day I should stop exposing myself to those situations,” he said. In 1982, during his early 20s, Mr Groom completed his first climb in Nepal. Five years later, he attempted to climb the third highest mountain in the world, the Himalayas’ Kangchenjunga, which towers at 8,586 metres above sea level. This climb resulted with frostbite and eventually having the front third of both of his feet amputated. “It was incredibly hard, but it was a great adventure. We didn’t make it to the top, but that was the start of my serious big mountain climbing,” said Mr Groom. On his first climbing attempt post-injury, Mr Groom was swept 900 metres down the Lhotse Face of Everest through an avalanche. He survived with a broken nose and a few cracked ribs. Still, he went on. Finally, on his third attempt in 1993, Mr Groom surmounted the world’s highest peak. A year after, he climbed K2, the second highest mountain in the world at 8,611 metres above sea level. Then, in 1995, it was Lhotse, the fourth highest, scaling 8,516 metres. Little did he know that there was one more great challenge ahead of him. Not long after he got the record, Mr Groom was caught in the middle of the 1996 Mount Everest disaster, the deadliest season on Everest before the 2012 avalanche that took 12 lives. He emerged as one of the two survivors in a group of six climbers. “I didn’t know the meaning of resilience until I got into Himalayan climbing,” he said. Despite all the danger he was put in, Mr Groom went on to climb the last of the big five, Makalu, three years later. In 2000, Mr Groom was awarded the Order of Australia Medal for his services to mountaineering. His story has also been told widely, including within his own book, Sheer Will, a Channel 7 documentary and Everest, the 2015 film based on the 1996 blizzard. Mr Groom then took on the challenge of public speaking to provide inspiration, a task that proved to be more fear-inducing than making the ascent up the highest peaks, surviving treacherous conditions or enduring and persisting despite injury. The key to overcoming the fear, according to him, was changing his perspective — choosing to use fear as an enabler instead of being restricted from doing the task at all. 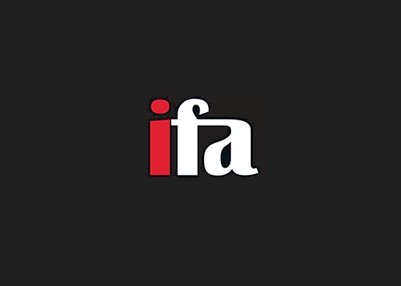 Make sure to catch Michael Groom telling his story in ‘Navigating responsible leadership through turbulent times’ at the ifa Business Strategy Day 2019. Ensure you’re future ready by securing your place here.